It’s very complicated… when oligarchs or the modern “kings” in power believe that only they have exclusive rights for Human Rights. Legislation severely restricting freedoms of expression, association and peaceful assembly remained in place. Journalists continued to face harassment. GENEVA (9 February 2016) – The United Nations Special Rapporteur on the situation of human rights in Belarus, Miklós Haraszti, today warned that opposition leaders, human rights activists, journalists, and many other citizens have been subjected to harassment, administrative procedures and fines since the October presidential election. The situation with human rights in Belarus remains stably bad. The UN Special Rapporteuron Belarus, Miklos Haraszti on October 28 presented his report on the situationin the countrywithin the framework ofthe 69 thsession of theUN General Assembly. The Special Rapporteur on human rights defend­ers, Michel Forst, is to present his first report tothe General Assembly on October 23rd 2014. TheSpecial Rapporteur on the situation of humanrights in Belarus, Miklos Harastzi, is to present athematic report on human rights defenders inBelarus to the General Assembly on October 28. 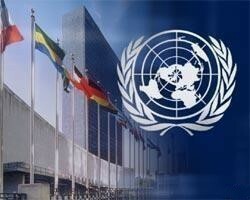 On Thursday it was announced that Belarus has sent an invitation to the UN Human Rights Council Rapporteurs. Human rights defender Valiantsin Stefanovich said that this is not the first time that our government invites UN experts, but the approach to the process is very selective. “Pact” unites Belarusian citizens on whose complaints the UN Human Rights Committee made or is going to make a decision. The General Assembly of the United Nations released the report of the Special Rapporteur on the situation of human rights in Belarus. On 23 January, experts of the Assembly of Pro-Democratic NGOs and the Center for Legal Transformation presented the results of monitoring of the situation with non-governmental organizations and freedom of association in Belarus in 2011. 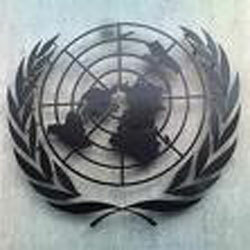 New York, 19 December 2011 — This morning, the United Nations General Assembly in New York adopted the Declaration on Human Rights Education and Training. This landmark document recognises the right of every one of the planet’s seven billion people to have access to human rights education, a lifelong process involving all ages, all parts of society, and every kind of education, formal and informal. On 27.01.2010 from 10-00 to 11-30 Zhodzina Town Court held the last hearing on the protection of the right to peaceful assembly in Zhodzina, where over the past 9 years, not a single mass event, applied for by the citizens, human rights activists or non-governmental organizations and political actors, was permitted. 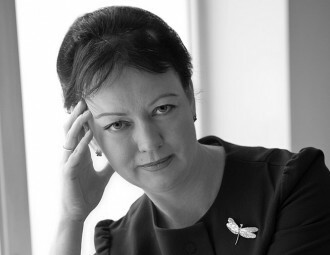 The court sessions was held by Deputy Chair of the Court Judge Tatsiana Tratsiuk. The executive committee was represented by lawyer Volha Verhel. An activist of the Movement “For Freedom” received a negative reply to his proposal to publish in the local newspaper information about the contest dedicated to the day of the adoption of the Universal Declaration of Human Rights. I cannot but express my thoughts and attitudes about the very laconic and aptly remark by the known in Belarus and far beyond human rights defender, my friend, Ales Bialiatski. His findings are absolutely accurate and indisputable! At the forum in Brussels Belarusian civil activists disseminated a statement about rights and freedom violations in our country. Baranavichy human rights activist Siarhei Housha has lodged a repeated complaint with the Ministry of Foreign Affairs, voicing his opposition to the Ministry’s reply, which named the Optional Protocol as ‘not having a binding effect’ for the parties to the Treaty to implement the conclusions by the UN Human Rights Committee. In the context of numerous violations of rights and freedoms in today’s Belarus, steered by the regime through local authorities, law enforcement and judiciary bodies, one can arrive at a conclusion that ‘the decentralization of responsibility’ in suppressing dissenting views and civil activity has already become a smoothly running system. Does the current version of the Belarusian Constitution correspond to the universally recognized principles of the international law? 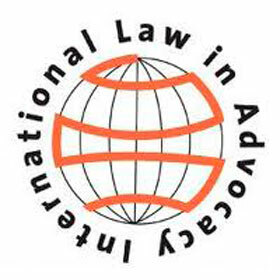 How does the state implement the imperative procedures of the international law, stated in the international treaties and resulting in its high obligations? It is high time to raise these crucial questions. The answers to these questions will determine the country’s reputation and help Belarus find its place among other European countries. The Council of Europe’s Human Rights Education for Legal Professionals (HELP) program provides various online resources in the field of human rights, that can be used by human rights teachers communities across Europe, legal professionals, along with ordinary people interested in the protection of human rights. 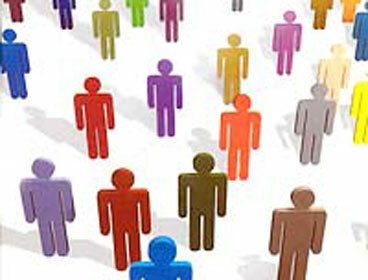 HELP’s Belarusian web-page has been created and will be updated with relevant legal and educational resources. It will also feature materials and electronic educational programs, useful links and other online information, dealing with both the existing and newer educational programs in the field of law, aimed at accurate understanding and practical usage of the ECHR’s regulations. A number of Belarusian human rights experts have launched a public campaign aimed at the abolition of capital punishment in Belarus. A special petition drawn up by representatives of the Belarusian human rights community will be sent to the Parliament, the Government and the President of Belarus. Stanislav Markelov, famous Russian lawyer, was assassinated in the center of Moscow on 19 January. On 25 December unknown persons damaged protective rollets and defiled them with swastikas in a Navapolatsk-based human rights organization. Human rights activist Zmitser Salauyou addressed Navapolatsk town prosecutor’s office with a demand to investigate the attack, naming it an outrage against public order and an attempt to stir up national hatred by an unknown Navapolatsk neo-Nazi organization. On October 20, the Legal Initiative Homel office announced the beginning of an essay contest dedicated to the 60th anniversary of the Universal Declaration of Human Rights. Should the Belarusian legislation comply with the international standards of law? IN THE LAST ANSWER TO THE HUMAN RIGHTS ACTIVISTS FROM ZHODZINA THE HEAD OF THE CENTRAL ELECTION COMMISSION LIDZIYA YARMOSHYNA COSCIENTLY AVOIDS SPEAKING OF EVIDENT VIOLATIONS OF THE ELECTION CODE OF THE REPUBLIC OF BELARUS. THERE’S NO USE MENTIONING THE INTERNATIONAL ELECTORAL STANDARDS HERE… SUCH STANDARDS DON’T EXIST FOR BELARUS. THERE ARE SOME IDEOLOGICAL HORRORS AND INSINUATIONS ABOUT THEM, BUT THERE IS NO REAL UNDERSTANDING AND NO POLITICAL WILL FOR THEIR IMPLEMENTATION. HOWEVER, IT’S HIGH TIME THAT ALL INTERNATIONAL UNDERTAKINGS, INCLUDING THE UNDERTAKINGS IN THE POLITICAL SPHERE, BE IMPLEMENTED. The State as the Guarantor of my Rights: a Myth or Reality? What runs the show in Belarusian courts: ideological expediency or the Law? A number of Zhodzina human rights activists have submitted a claim to the Un Human Rights Committee to protect their civil and political rights. The UN office in Belarus has considered the claim and submitted it for the further consideration of the Geneva-based Human Rights Committee. Why should someone restrict human rights and the freedom of speech, in particular?